Like before, we had our laughs, and moments where the fellas would show their pride in their individual accomplishments, showing the best version of themselves, but we also had moments where the depth of the conversations brought to light more insightful and heartfelt commentary. 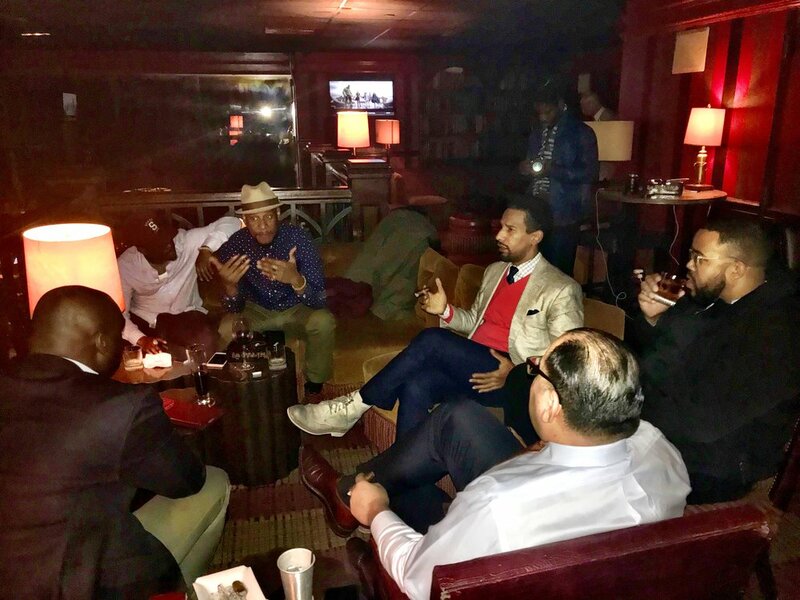 As I prepare to launch Cigar Casa; a place for craft cigar enthusiasts to celebrate in its counter-culture elements, along with a highly curated, membership-based cigar tasting club, having a group of gentlemen to support you with their time and honest opinion is priceless. The group got to try the Hispaniola Cigars El Trabuco 1844. A Dominican Puro featuring a Havano Rosado Vuelta Arriba wrapper. Few things give me more pleasure than smoking a fine cigar such as El Trabuco. Being among the gentlemen of the Mastermind Connect is one of them. There’s only a few things that allow men like me to bond with other men. To connect (no pun intended). Cigars are one of them. With stogie in hand, not only do these fellow men provide me with feedback and constructive criticism about my business and personal endeavors, but they allow me to do the same for them in return. Reciprocity is, in fact, one of the pillars of the Mastermind Connect. 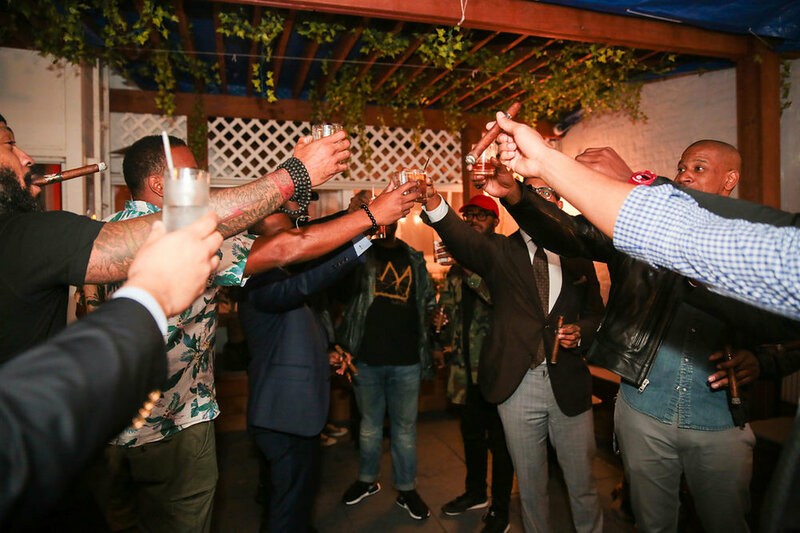 I took this opportunity for us to celebrate a year since Michael McConnell asked me to join him in taking a leap of faith and offer a Cigars and Scotch 101 event we did in Brooklyn, NY, as buy-in for an impressive group of about twenty outstanding gentlemen, who for the most part never met before. Since then, we had our official launch at Mezlan, a luxury boutique on Madison Avenue, we've had countless meetings, high intensity training exercises, Hip Hop Yoga, and meditation sessions, as well as opportunities to network, do business, break bread, counsel each other, and even baby sit, and dog sit for one another. We’ve also worked with mentoring the youth through our Young Masterminds Initiative, and continue to do so through our partnership with the NYC Department of Education and their NYC Urban Ambassadors program. This is, in fact, a very active group. And as it grows, the opportunities to bond with one another will be plenty. We've gone from camping in Upstate, NY one month, to a 26 miles group cycling ride in Brooklyn the next. But, for me, an old time cigar enthusiast, having engaging conversations while putting fire to tightly wrapped, aged leaves its where is at. And the ones we collectively burned on a crisp November night at The Carnegie Club where of the highest caliber. Just like the men who lit the fire with me. Find out more about our group and how to join our community here. You won’t regret it!